Meditation is good for you. That’s not just some woo-woo, alternative, Boulder hippie saying. Reputable studies have found meditation is good for your health and can reduce anxiety, depression, pain, high blood pressure, sleep problems — and can even help with heart disease and cancer. 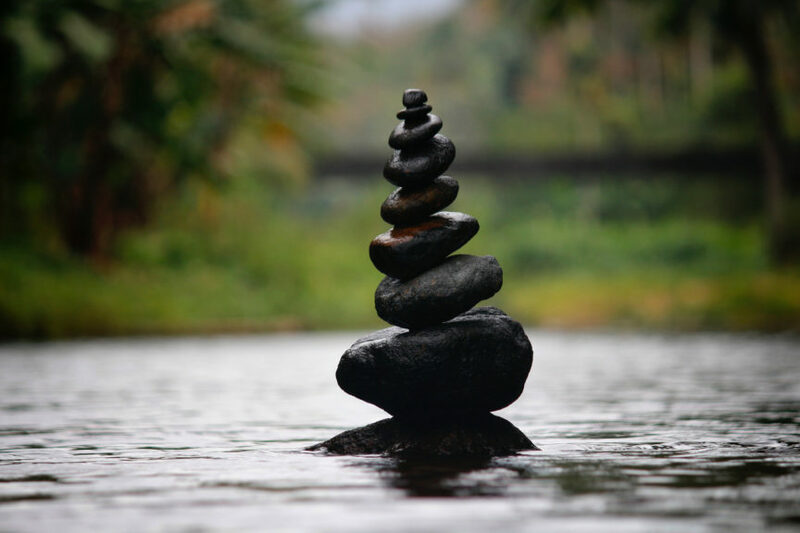 The Mayo Clinic notes many of meditation’s roles in health and wellness. Meditation is also a common practice among Buddhists and is considered by some to be a spiritual experience. 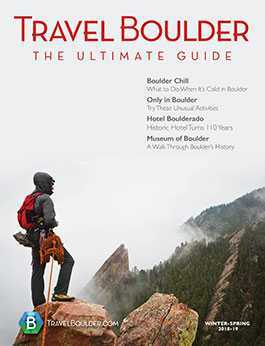 Whatever the reason you want to practice, Boulder is bursting with zen. Here are some ways you can learn to meditate in Boulder — because whether you’ve never tried before or you have been meditating for decades, we are all still learning. If you don’t know where to start, need some guidance or crave community, try a meditation class. 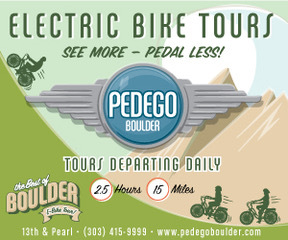 You can find all kinds of classes throughout Boulder County, from general intro classes to more specific programs like “Mindful Cinema,” “Family Meditation and Meal Get Together” and “Fearlessness in Everyday Life” (at the Shambhala Center). Not all meditation approaches are the same. There are various types of meditation, too. For example, Transcendental Meditation doesn’t use breathing or chanting. Instead, it simply “encourages a restful state of mind beyond thinking,” according to the website. 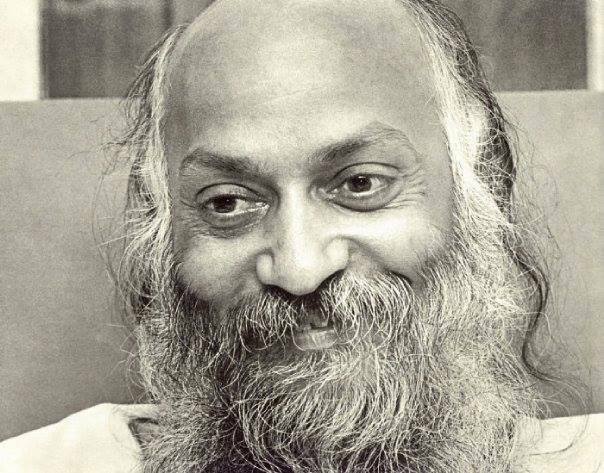 At Osho Leela Meditation Center, “My whole teaching consists of two words, meditation and love,” according to the nonprofit. Beyond classes, you can also find special events, such as full-moon celebrations, potlucks, talks and meditation with instruments and music. 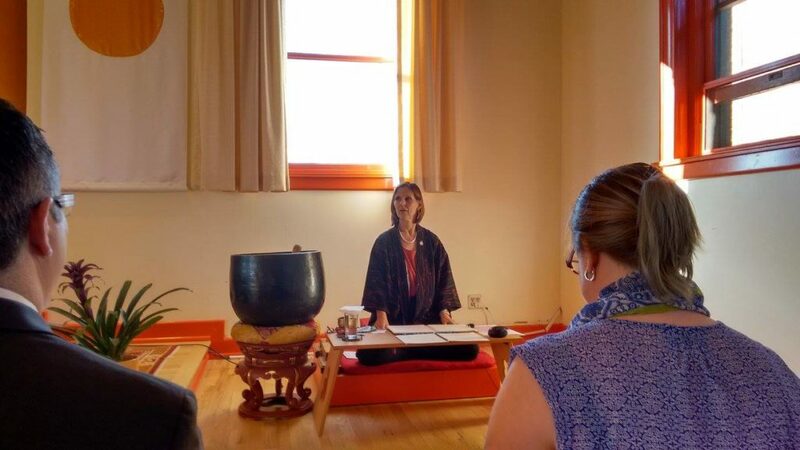 Boulder alone boasts more than a dozen meditation centers. Some are nonprofits. You can also reach out to individual meditation instructors or purchase meditation products, like interactive meditation CDs from the Boulder-based Sage School of Light. If you’re comfortable with yoga but unsure about meditation, you can segway into a more deeper meditation practice by taking yoga classes that incorporate more meditation. 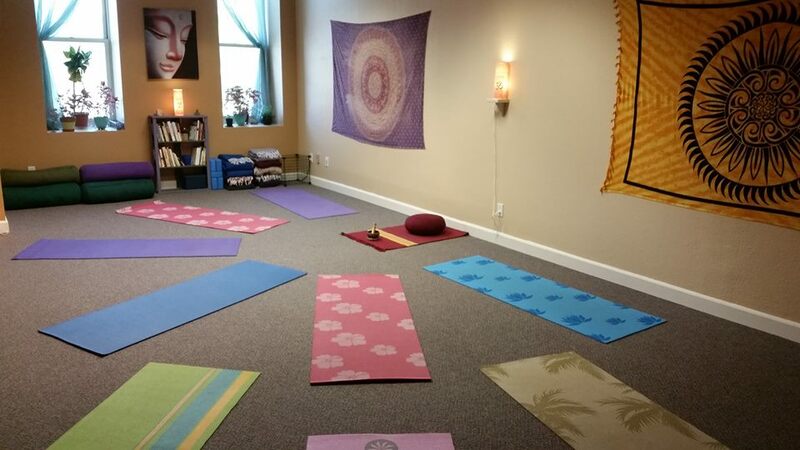 One of many options: the Nomadic Yogis at Elevated Yoga Studio, 324 Main St., Longmont, offers yoga with meditation, Taoist Yoga (using ancient Chinese cultivation techniques of “chi” via postures, breathing, meditation and more) and more. Consider taking Maggie’s Yoga, which includes essential oils, breath awareness and meditation. If you want to fully immerse yourself in meditation for a while, consider taking a meditation retreat. 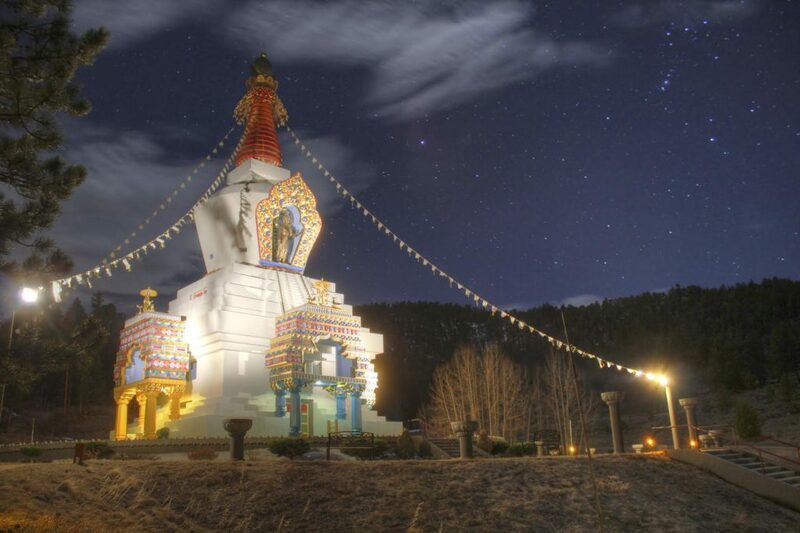 There are several meditation getaways near Boulder. 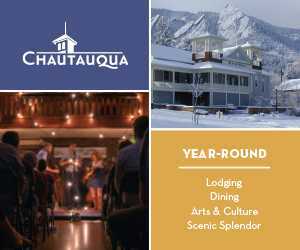 Highlights include the Shambhala Mountain Center in Red Feather Lakes (more than an hour from Boulder) and the Shoshoni Yoga Retreat (40 minutes from Boulder). 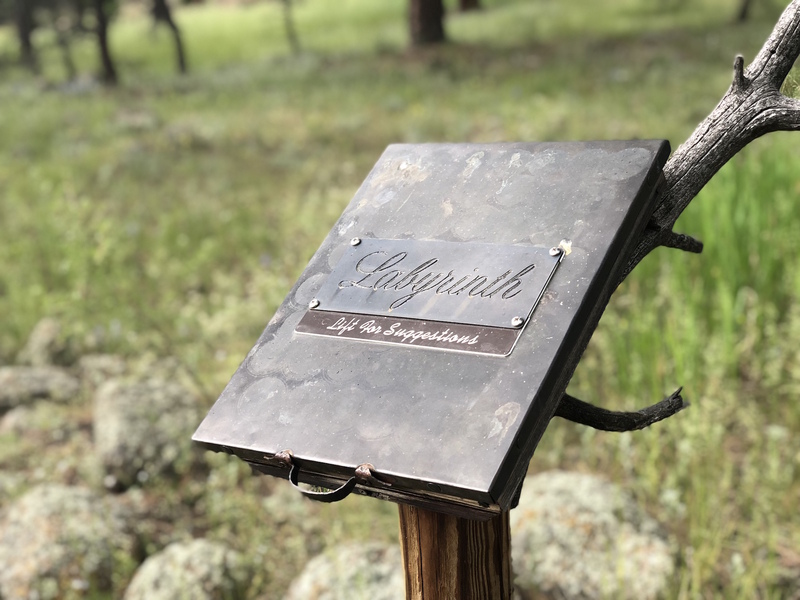 Impermanent Sangha offers nature meditation retreats, like a retreat in the Rocky Mountain National Park. Stay at the Briar Rose Bed and Breakfast in Boulder, owned by a practicing Zen Buddhist and home to a meditation room where there are meditations every day. Weekday mornings there is a chanting and bowing service. There’s no Goblin King at the center of these labyrinths, but they may help you find peace, clarity and connection. They’re called meditation labyrinths, and they’re a popular spiritual tool in Boulder. Using a labyrinth for spiritual or meditative purposes, as a way to shift consciousness, dates way back to ancient times, at least 4,000 years ago. You can find labyrinths in just about every religion and across the world. There are different types of labyrinths with different “circuits,” which are essentially circles leading toward the center (or the “rosette”). In Boulder, you can find labyrinths painted on the floor, shaped in the grass or lined by stones. It’s easy, and there’s really no wrong way to do it. Many people set an intention or pose a question before starting. Then walk through and let your mind float. Or crawl or twirl or spin or dance. Go as fast or slow as you want. Stop any time you want. It’s OK to pass other people in the labyrinth. When you reach the middle, turn around and head back out on the same path. Adults and children can enjoy it. Do it with someone or alone. It’s your journey. 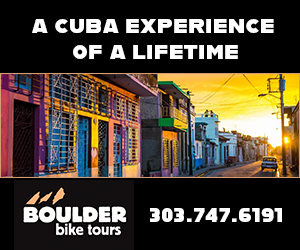 Here are some of our favorite labyrinths in and around Boulder. Anyone is welcome to walk this labyrinth, not just church members. This labyrinth, with 11 rings, was hand-painted on the church basement floor in 2001. You will also pass the Weeping Wall, a subtle water feature on a rock wall where you can leave written thoughts or prayers or other kinds of sentiments. The church says about 1,600 people from around the country have visited the labyrinth since it was built. 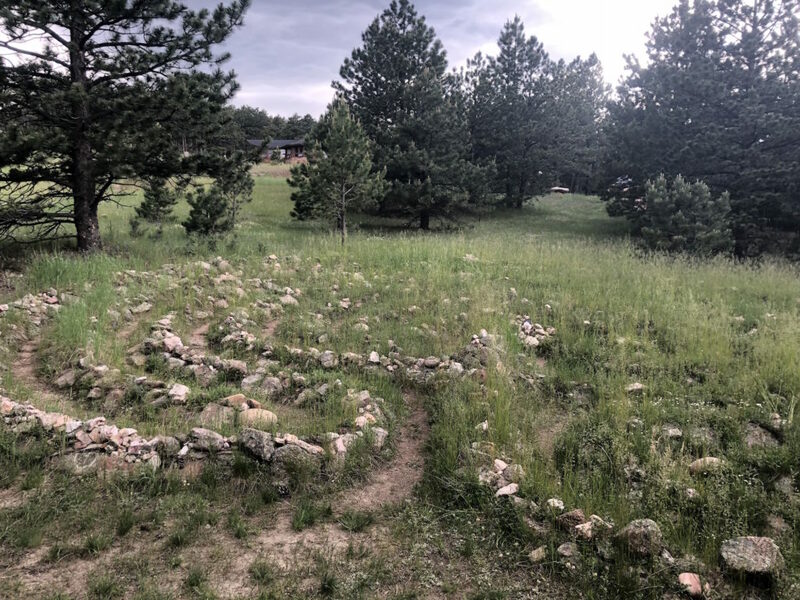 The church occasionally holds special events around the labyrinth, like Music on the Labyrinth, summer solstice celebrations and a public Wednesday night labyrinth group. These are called Wednesday Walks and they’re 6:30-8 p.m. most Wednesday nights. You can book it for a private event, workshop or group walk, too. The labyrinth is open 9 a.m.-noon Sunday; 9 a.m.-3 p.m. Monday-Thursday; and also 6:30-8 p.m. Wednesday. It’s closed Friday and Saturday. The StarHouse is an absolutely magical destination in Boulder’s mountains, up Sunshine Canyon. The grounds themselves present some of the area’s most jaw-dropping views of the city, and they’re lined with various walking paths, benches, sculptures, gardens and inspiration points. Behind the main building, the StarHouse itself, is a rock-lined labyrinth tucked between trees and surrounded by nature. Walk through grass and past wildflowers as you wind past the stones. Before you enter, it’s tradition to pick up a stone from outside and leave it in the center with your intention or prayer. The StarHouse has another walkable labyrinth, too. 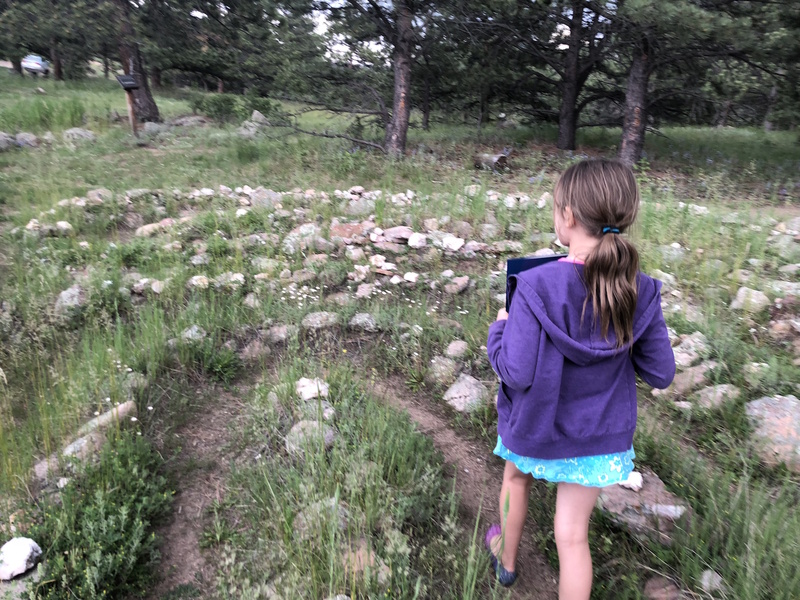 While this is private, the StarHouse regularly holds events open to the community, and you are welcome to use the labyrinth if you are attending one of these events. This church has two different labyrinths: an indoor one and an outdoor one. They’re both replicas of the famous, 13th-century, stone labyrinth at Chartres Cathedral in France. The outdoor labyrinth is open any time. 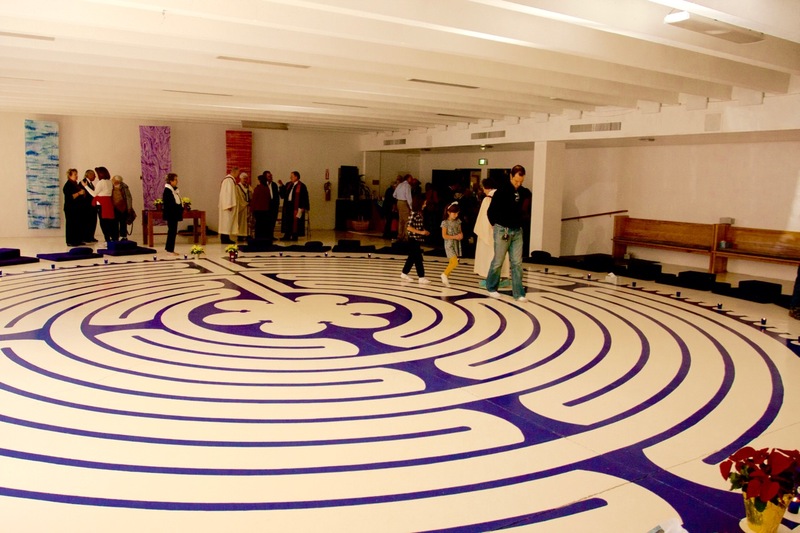 The indoor, canvas labyrinth is typically available during the seasons of Lent and Advent. This outdoor labyrinth, built in 2004, is always open to anyone in the community to use. You can see it right at the edge of Pine Street. It’s a seven-circuit labyrinth made out of flagstone (including red Colorado flagstone). It’s truly a stunning labyrinth. A unique feature to look for here are the 76 different half-rounded memory stones that circle the labyrinth. Each of these stones is engraved with different quotes, images and scriptures. These outdoor labyrinths are especially appealing to college students, as they’re located right across the street from the University of Colorado Engineering Building. This church has two outdoor, seven-circuit labyrinths that mirror one another. They’re always open to the public. On the north corner of this church’s property you will find a medieval-style, seven-circuit labyrinth built out of flagstone. Because it’s outside, it’s open year-round. Bonus: This labyrinth comes with a direct, inspiring view of the Flatirons. Attend on your own or join Morning Sacred Walks beginning at 7:30 a.m. Wednesday mornings. After about 15 minutes in the labyrinth, the group will then go for a 45-minute walk on a nearby trail or through neighborhoods. This series runs every Wednesday through Aug. 29. Anyone’s welcome. This church in south Boulder has a 60-foot-wide labyrinth built out of crushed sandstone and rock. It’s outside, so it’s always open. It’s a Chartres replica labyrinth, built in 2008. The labyrinth is on the southwest corner of the church grounds.